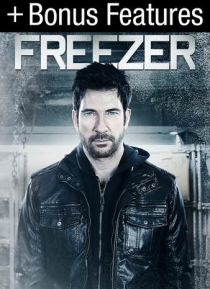 Everyday guy, Robert (Dylan McDermott) fights for his life when he awakens locked inside an industrial freezer, having been put there by Russian thugs. The mob insists he returns the $8 million he stole from them, but Robert has no idea what they are talking about. The mystery deepens when he discovers Sam (Peter Facinelli), a stranger who is also locked in. As they begin to freeze to death and ar… e tested beyond human endurance, the truth slowly reveals itself. Now it's a race against time to survive the cold and the increasingly impatient mob. From award-nominated filmmaker Mikael Salomon and co-starring Yuliya Snigir and Pascal Petardi. Includes bonus behind the scenes footage.